"At the End of the Endless Stream"
Episode 6 - At the End of the Endless Stream. Kazumi Amano stands outside at the grave of Coach Ota. The year is 2048, fifteen years since her battle for the solar system against the aliens. Kashiwara comes to Kazumi and reflects on how much has changed. Once school mates, she now the old principle of the Okinawa Girls School while Kazumi has gone on to become a Lieutenant Colonel, the "Coach" of a new generation of soldiers. Suddenly school girls come rushing to the two women. The girls all profess how much they're missing Kazumi before she's even left. It seems she has one final mission to perform. Kazumi heads off for her mission, boarding a gondola that will carry her into orbit. She talks with an accompanying officer as they leave the planet, surveying the changed world below them. The aftermath of her last battle caused much destruction throughout the solar system. The same black hole that saved humanity did so with the price of creating a shockwave that scarred much of the Earth's surface and destroying several of the outer planets. Even so many years later, the Earth has yet to fully recover. In space, Kazumi's final mission is revealed: there is a new black hole creating weapon. The home of the aliens is at the center of the galaxy. Just as a black hole spawned from the warp core of a starship was able to destroy millions of the monsters, a black hole originating from the collapsed planet Jupiter will be used to destroy the home of the aliens. The only alternative to not using such a drastic measure is the end of the human race. Kazumi boards the continent sized Buster Machine 3 and warps out to meet up with Earth space fleet. In deep space near the center of the galaxy, the cosmoship Eltreum awaits the arrival of the Buster Machine 3. No longer an ark to save away humanity, it is the flagship of a newly created fleet. Kazumi drops out of sub-space with the immense weapon, literally breaking through the fabric normal space, dwarfing all the ships in the fleet combined. With time on the Earth speeding by and only half a year passed to the fleet, Admiral Tashiro is impressed by the advances in technology. Noriko and Jung-Freud have remained in space too, still the teenagers they were when they began their service. Kazumi boards the Eltreum and is given a hero's welcome. She has brought the instrument of the Calnedias Operation to counter attack and finish off the aliens once and for all. It is a strange reunion for Noriko and Kazumi as her "big sister" is now her very much senior sister as well. As the two get reacquainted, Kazumi passes on a letter from Kimiko. The message wishes Noriko well and hopes that she will return within Takami's lifetime. Noriko begins to cry and the thoughts of the world she has left behind become too much: a quarter century is gone back at her home while barely a year has passed for her. With the arrival of the Buster Machine 3, the Earth fleet begins their assault. But the aliens have been waiting and commence their own strike. The BM3's countdown to destruction begins with a little under an hour before the core is collapsed and ignited. During this brief time as it is up to tens of thousands of Earth warships to defend it. Comprised not only of capital ships but also Sizzler model mass production Gunbuster mobile suits, the Earth forces are vastly out numbered with aliens in number of billions on their way. As Kazumi goes to her battle station, Jung catches up with her and hands over the key to Buster Machine 2. Though self-sacrificing, Jung put out a final comment on how Kazumi ends up with everything she wants. 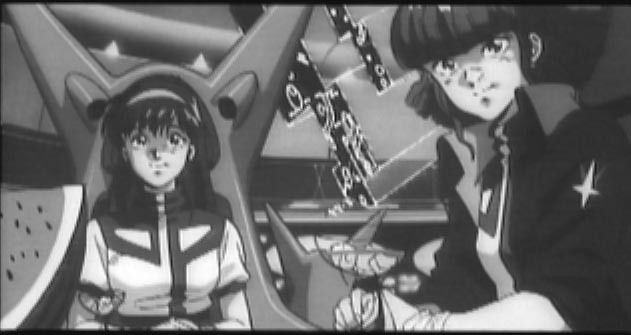 Noriko and Kazumi are reunited to finish the war started with the destruction of Noriko's father's ship. The aliens surprise the fleet by warping in earlier than anticipated, immediately targeting Buster Machine 3. Wave after wave ignore the rest of the human fleet, self destructing into the colossal vessel in order to bring down its protective shielding. Eventually, the shields are defeated and it's all out carnage as the earth fleet tries to protect their only hope. After a half hour of fighting, the alien forces have been held off but only at the cost of thousands of ships. Buster Machine 3's countdown finishes and the weapon is activated. Or is it? The unit sustained enough damage so that only 98% of its collapsing generators are functioning! Time is running out with another wave of twelve billion enemies approaching. 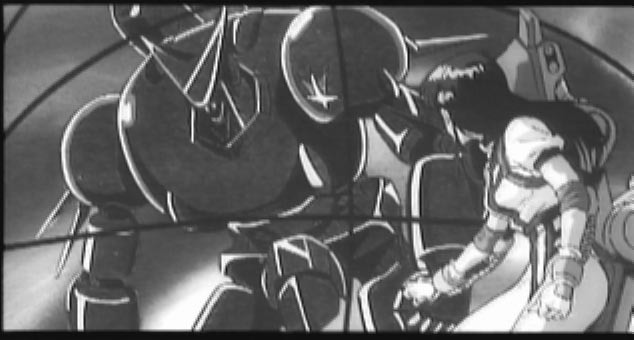 Noriko decides to use one of the Gunbuster's two collapsing generators to trigger the finial ignition of the black hole. With a second generator on board, they will still have power to escape. Noriko and Kazumi fly down into the BM3, once again with the fate of humanity on their shoulders. Not wanting to be separated from her friends, Jung heads down as well but her weaker, Sizzler series mobile suit can't withstand the intense pressures. 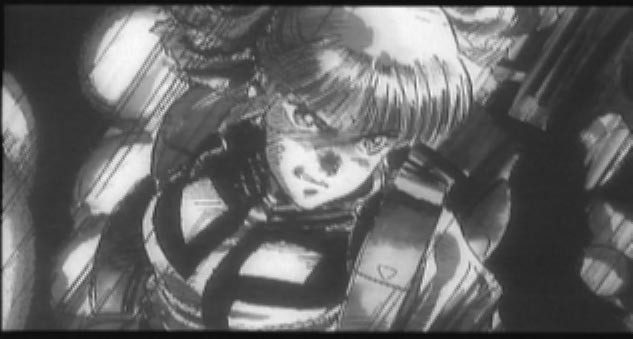 As Jung's suit begins to crumple, Noriko and Kazumi convince Jung that they are not on a suicide mission. Even if the two do manage to escape, Jung argues, it may take thousands of Earth years to escape the intense gravity well of a black hole. Noriko and Kazumi will hear none of it and pressure Jung to return home and carry on their memory. Before her suit can be crushed by the pressures, Jung leaves them and promises to be back on Earth to say "welcome home" when the pair returns. 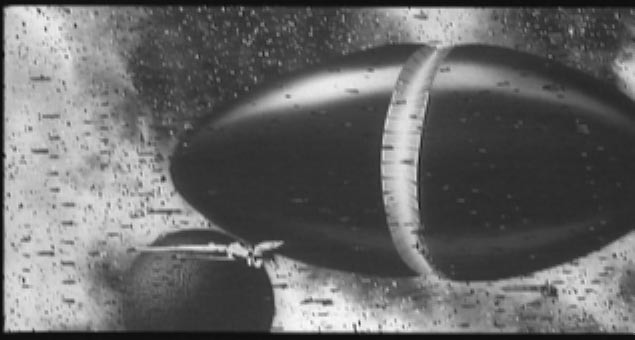 Gunbuster reaches the center of the third Buster Machine and Noriko pulls out her "heart," ramming the exploding, collapsing generator into the surrounding superstructure. The generator is enough to ignite the final reaction, turning the compressed planet Jupiter into a blazing singularity. With the start of the reaction, the earth forces warp out to safety. Over time, the center of the galaxy slowly dissolves into the black hole, taking the alien menace with it. Noriko and Kazumi some how manage to make it out and back to the solar system, 12000 years later. They arrive to a dark and cold looking Earth. Fearing the worse, they can't believe their eyes when the world lights up spelling out the message "welcome home." 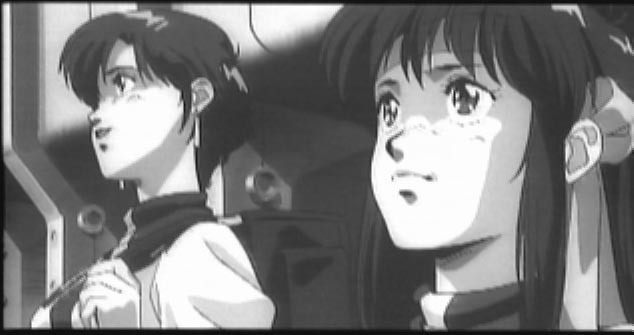 Gunbuster's final mission complete, Noriko and Kazumi leave in escape pods and head home.